In a world filled with far too many great books, it’s hard to figure out what to pick up next. 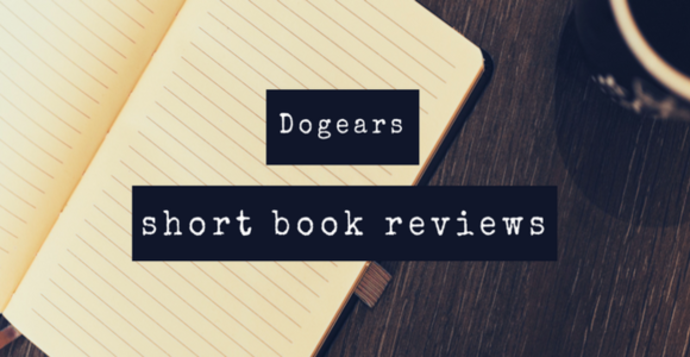 Luckily, Bookmarked is here to help in your search with “Dogears,” bite-sized book reviews from our growing TBR piles. 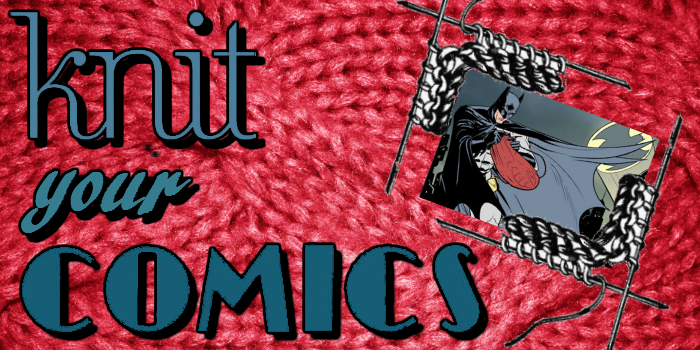 Check out what we’ve been reading this past month, and see if you can find your next favorite read! The Hate U Give was on my niece’s Christmas wish list, so I made sure my brother got her that one and I got her The Poet X. It was on several best books of 2018 lists and it was recommended to me by a colleague, whose taste in books I trust, so I knew it was something special. But now that I have listened to the audiobook and walked Xiomara Batista’s journey with her, I realize that “something special” is not nearly enough to describe how powerful — and empowering — this book truly is. First of all, I highly recommend that, even if you have read and loved this book before, that you listen to the audiobook, narrated by the author herself, to truly appreciate the emotional impact slam poetry can have on an audience. 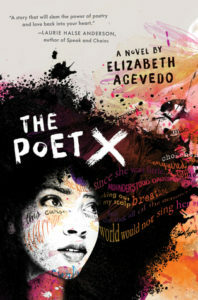 There were moments in The Poet X that truly shook the floor for me. Even though my experiences as a teen and young adult were far from what X experiences, I could feel her triumphs and her pain, pounded out through every word, every syllable. This is a YA novel that epitomizes what the genre can and should be. Raw, teenage emotions, free from the cliches that too often mar the genre. In a small college town, after a night of partying, a young girl falls asleep in her dorm room. Nothing unusual about it, at first. But then she doesn’t wake up again. She sleeps for days and no one can wake her – not her roommate, the paramedics or her doctors. Then more and more people fall victim to the same sleeping “sickness” and before long the town is quarantined by the National Guard. The novel follows the stories of various survivors throughout the city, like the roommate of Patient Zero, sisters alone without their father, a psychiatrist from L.A. who has come to investigate the cause of the illness, just to name a few. I remember reading Karen Thompson Walker’s debut novel, The Age of Miracles, back in 2012 and falling in love with her beautiful writing. In fact, the opening line of my review is “Who knew the end of the world could be so poetic?” So when I heard her sophomore novel would be released in 2019 I knew I had to get my hands on a copy. And it did not disappoint. It was every bit as poetic as her first. 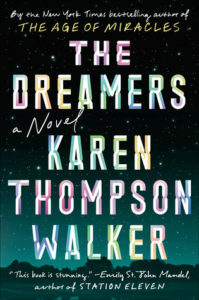 Like, The Age of Miracles, the focus of The Dreamers is a dark topic – an epidemic with no end in sight. But despite the subject matter, her books are a delight to read. Her writing style is so beautiful and lyrical that it pulls the reader in and wraps them up in the curious worlds she creates. Though both books are standalone, they go so well together and I can’t wait to see what might come next from Walker. In the kingdom of Kolonya three girls, from three very different backgrounds, are summoned to the capital. Zofi, who grew up in the outer Reaches with her band of Travelers. Akeylah, a child of abuse from the Eastern Reaches and Ren, who grew up in the city serving as a lady’s maid, always dreaming of being something more. Each has a dark secret, something that no one else knows, something that they could be executed for. So when they receive their summons they assume that’s the reason. They’re shocked to learn instead that the king is dying. And since his only son, and heir, was recently murdered he’s forced to resort to some unexpected options – three illegitimate daughters, scattered across the kingdom. While the three girls, learn the ropes, competing to see who will win the crown, someone in the palace knows all their secrets and will stop at nothing to keep the girls from the throne. There is an interesting magic system in this book, though a little disturbing. The Blood Arts are accessed via “tithe” essentially they cut themselves to draw blood. These arts can be used for boosts, extra speed or strength for example. But there’s a darker side as well – the Vulgar Arts – when someone uses the Blood Arts against another person. It’s considered the worst crime you can commit and leave a distinctive scar. This was a unique approach to the magic but after so many scenes of people cutting themselves, it seemed a bit excessive. At its core, Rule is a really intriguing read with three brave and unique female characters at the centre. I love fantasy novels with court intrigue so the scenes focused on palace life and politics really worked for me. And there are a fair number of twists to keep up the pacing. There was also a f/f romance in this novel, which I was initially excited to see. However, it’s between Akeylah and her stepmother. It’s not quite as weird as it could be, both girls are close in age, with her father’s marriage not much more than a political match. But the dynamic was still a little strange and it happened too quickly to feel substantial. I also found, at times, the worldbuilding was a little hard to follow, and as the stories rotated between the three girls it could get repetitive as they encountered the blackmailer in similar ways over and over again. 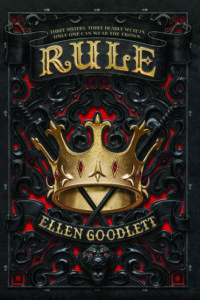 Rule is an interesting debut, with its strengths and weaknesses. Despite those weaknesses, I’m curious to pick up book two later this year and see how the story evolves. 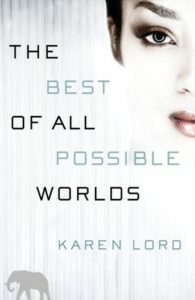 The Best of All Possible Worlds by Karen Lord tells the story of two people on a far-off planet, each enmeshed in their own cultures, finding love. Romance is not my usual genre, but I really enjoyed this book. Both of the main characters are great. They are older adults who respect each other and have friends, and no plot points revolve around them underestimating or testing each other, so that’s nice. Also, I really like the world creation here – the planet is rich with multiple cultures, and the premise of their interaction is a catastrophe in the recent past that is neither maudlin nor brushed off. It requires the characters to travel around the planet doing research, and the romance proceeds at a stately pace as the characters travel around episodically interacting with various cultures. The tech and interplanetary travel of science fiction are balanced with magical or supernatural seeming elements as well. While The Best of All Possible Worlds takes place on a planet more than in space, I think it still qualifies handily. And I’m very glad it was recommended to me specifically, because I don’t think I ever would have picked it up on my own, considering that the cover image and the sales blurb are pretty misleading. If I trusted the packaging, I would think this was a book about an extremely pale woman and an elephant combatting insurmountable odds in a race to ensure the survival of humankind, and nope. That’s not what this book is about.